The Italian drugs agency, Agenzia Italiana del Farmaco (AIFA) through its website regularly provides updates of the number of patients who have started DAAs. In its latest update posted at the end of May, 46,717 patients have received at least 1 dose in Italy, the vast majority of these patients (90%) being included in criterion 1 and 4. To understand what has been accomplished and what still needs to be achieved we had a quick talk with Mr. Ivan Gardini, President and Founder of EpaC, the largest Italian liver diseases patients association, and Dr. Alessio Aghemo from the Fondazione IRCCS Ca’ Granda Ospedale Maggiore Policlinico Milan. In a meeting with AIFA held in November 2014, we were asked to accept the criteria AIFA had identified for the reimbursement of DAAs. The rationale behind these criteria, was that the Italian government had allocated 1 billion Euros to DAA treatment for the years 2015-2016, a sum that was not sufficient to treat all patients chronically infected by HCV in Italy. We decided to endorse the AIFA criteria, but we also requested a reappraisal of the criteria once all DAAs would become available in Italy. Our request was not met, and for this reason in November 2015 we asked AIFA to abandon the six priority criteria, introducing new priority criteria that would take clinical and social treatment urgency into account, similar to what has been introduced in Portugal where no restrictions to treatment exist. There is a widespread notion, supported by misleading articles in the Italian media, that DAAs cost roughly 50-60,000 Euros or, as some still say, €1,000 per pill. Experts know this is not the case anymore, but this knowledge has not filtered through to the general population in Italy, partly as a consequence of the secrecy agreement between AIFA and some Pharma Companies. Only recently, during a television program the Director of AIFA revealed that the average price for a 12 or 24 week course of treatment is in the range of € 15,000. Clearly, this price is significantly lower than what is commonly reported by the media, and it’s lower than what the INHS pays for several cancer therapies that usually cost €45,000 per treatment(1). A recent pharmaco-economic study has reported that by treating all HCV patients, Italy could reduce the individual health care costs by € 12,000 from 2018 onwards(2). A similar analysis conducted in Portugal has shown that by treating 13,000 patients, 5,170 deaths, 482 liver transplants, 2,920 liver cancers and 8,499 cases of cirrhosis could be avoided. This would translate into 89,242 extra life years and savings from direct health care costs of €400 million(3). It is relatively common to hear or read that more than 1 million people with HCV live in Italy. This figure however is not supported by any scientific publication, nor any data from the national registry. This number is actually derived from small-scale studies conducted 20 years ago, and also includes people who are unaware of their infection. EpaC, has conducted an independent research evaluating only the number of patients who have already been diagnosed and are thus aware of their infection, we have derived our figures by asking every region in Italy to provide us with the number of patients that are exempt from economically contributing to the national health system for a diagnosis of HCV. We have thus calculated that on the 1st of January 2016 no more than 170,000 patients with HCV are currently in care in Italian liver centres. We think that calculating a dedicated budget for DAAs on the basis of patients that are not aware of their infection is intrinsically flawed. In 2015 nearly 30,000 patients received treatment with DAAs in Italy. From January to May 2016 around 3,300 patients received treatment monthly, with no signs of an increase in numbers. We are also witnessing a stable decrease in the number of cirrhotic patients who are starting treatment monthly. This means that without a national plan to increase the number of patients that receive treatment, it is unlikely that Italy will treat more than 35,000 patients in 2016, and that many small volume centres will have a hard time identifying patients who fit into the current AIFA reimbursement criteria. The biggest and unexpected side effect of denying treatment to more than 100,000 patients, is the use of generic drugs imported from other countries. We have seen an exponential increase in the import of generic drugs against HCV from India and Egypt. 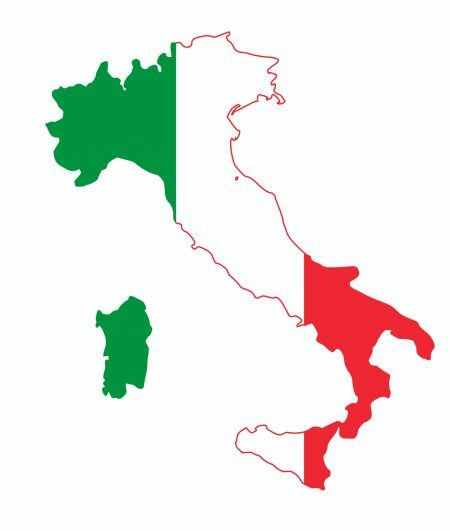 Given that Italian regulations are extremely restrictive concerning this issue, this has caused controversies and problems also for the Italian physicians who were unprepared to deal with this situation. It is almost impossible to know exactly how many patients have imported these drugs, but certainly we could speculate at least 500. It is the first time that AIFA has asked for a dedicated fund that needs to be replenished up front by the government to cover treatment for all patients. 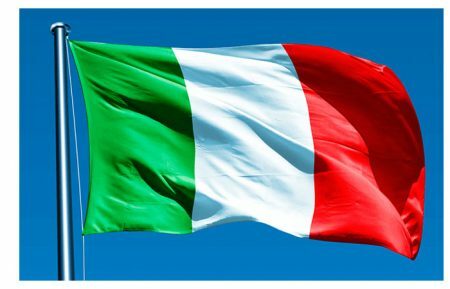 For these reasons together with 10 other patients associations (HIV, Haemophilia, Thalassemia, Kidney diseases, Transplantation and drug addiction) we have written to Italy’s Prime Minister asking him to stop discriminating Italian HCV patients between those who can and those who cannot be cured. This should not be difficult from a political standpoint since it is unlikely that the national health system could manage more than 40,000 new treatments per year. If the direct drug cost remains at €15,000 per treatment, we think that with an annual budget of 500-600 million in 4 years we could treat nearly 80% of all diagnosed patients in Italy. Eliminating once and for all the treatment restrictions would also benefit the patients as they would not resort to importing generic drugs and physicians who could finally decide who should receive treatment first based on clinical needs rather than imposed criteria. Alessio Aghemo, M.D.,PhD, Division of Gastroenterology and Hepatology, Fondazione IRCCS Ca’ Granda, Ospedale Maggiore Policlinico, Milan. For someone like myself who started his clinical practice in hepatology with the introduction of ribavirin and spent 17 years fighting to minimize patients’ struggles related to the side effects of IFN- containing regimens, the last 18 months have been tremendously rewarding as a clinician. Indeed in our center in Milan, we were able to treat more than 750 patients with chronic HCV infection obtaining an overall SVR rate of nearly 94%. This efficacy rate mirrors what was reported by Phase II and III clinical trials and supports conclusions from other real-world experiences that reported similar efficacy rates in patients with advanced disease. As clinicians who have participated in Phase II and Phase III development programs of most DAAs we were not surprised by the optimal efficacy and safety results we obtained in our real-life patients, but it is a source of Italian pride to witness the same efficacy reached also in centers with smaller volumes of patients. This was the message delivered by the analysis of the treatment database of the Lombardy Regional Network for viral hepatitis. This regional network was launched in 2014 to ensure equality in access to treatment and care for patients with chronic HCV infection in Lombardy, a region in Northern Italy with a population of more than 10 million. In the first 18 months of activity more than 7,800 patients received treatment with DAAs in 28 centers dotted around the region. In the analysis presented at EASL’s International Liver Congress™ in Barcelona last April, focusing on more than 2,400 patients an overall SVR rate of 90.4% was reported, with only a 1% rate of serious adverse events. When looking at the efficacy of regimens supported by the recent EASL guidelines the figures were even more impressive, with an overall SVR rate of 93%. Similar results have been reported by other Italian regional databases and certify the efficacy and safety of DAAs as well as the high level of care that HCV patients can receive in Italy. However it would be naïve to say that no shadows exist. Clearly, the main problem we have to face is the capacity of our liver centers to manage the huge number of treatments, in our center during the interferon era between 200 and 250 patients were treated annually. In 2015 this number reached 483 patients receiving DAA treatment without a parallel increase in the number of people employed in our outpatients’ unit. This clearly translates into increased waiting times for visits, blood draws and drug dispensation by the pharmacist that ultimately impact negatively on the patients’ quality of life. This increase is not only limited to our center but is widespread throughout the country. In the Lombardy Region the number of patients treated in 2015 tripled the 2,300 mark reached in 2013 and 2014. We have now de-facto reached the capacity limit of our centers and any further improvement in treatment numbers will require modifications to our practice or investments in hepatology units. Since we are hopeful that in 2017, treatment indications will be broadened to ensure universal treatment of HCV patients in Italy something that has been recently embraced by other European countries like France, an increase in patients receiving treatment is to be expected and anticipated. Simplified management of patients by reducing on treatment visits, limiting treatment monitoring and increasing the choice of short treatment durations will be a key factor in 2017 if we do not want to limit access to treatment for our patients. The arrival of potent pan-genotypic drugs as well as the possibility of shortening treatment duration to only 8 weeks could be major players in this process. For this reason the Lombardy Network for Viral Hepatitis is planning on organizing regular meetings with physicians, pharmacists and national health system managers so that excellence in care is also translated into excellence in resource management. It is important to discuss and to approve modified and standardized therapeutic algorithms in advance, if as clinicians and managers of our units we want to be ready to do our part to achieve HCV elimination in Italy. Liver Unit. IDIBAPS and CIBERehd. Hepatitis C virus (HCV) infection leading to decompensated cirrhosis or hepatocellular carcinoma (HCC) is the most common indication for liver transplantation (LT) in most transplant programs worldwide. After transplantation, graft infection occurs universally in viremic patients, and around 30% of these patients will develop cirrhosis within the first 5 years following LT if not treated (1). The impact of HCV recurrence on graft and patients’ survival is well known and clearly reduced if compared with other indications for liver transplantation(2). As the new Direct Acting Antivirals (DAA) are very effective and well-tolerated, the vast majority of patients with HCV-related liver disease can now be successfully treated either pre- or post-LT. When treating HCV infection before LT, some patients show a remarkable clinical improvement and may even be delisted, while all the others undergo liver transplantation with a very low risk of re-infection (<5%). HCV infection can also be treated post-LT with excellent rates of sustained virological response (SVR). However, some DAAs may interact with various immunosuppressants and should be avoided in the case of severe renal failure, which is not an unusual complication after LT. Despite this promising scenario there are still some questions that deserve discussion. In the following paragraphs we will try to examine some of the most debated issues in the field. Q. Which DAAs should be used in cirrhotic patients listed for LT? The regimen used in patients with compensated cirrhosis listed for LT should be the same as that indicated in patients with chronic hepatitis C, in accordance with the published guidelines.(3,4). However, DAAs should be used with caution in LT candidates with severely impaired liver function (Child-Pugh B and C decompensated cirrhosis) or with severe renal dysfunction (GFR< 30 mL/min). Exposure to protease inhibitors (simeprevir;paritaprevir) is significantly increased in patients with decompensated cirrhosis and some cases of worsening in liver function have been reported (5,6). For this reason, these drugs are not recommended (or may be even contraindicated) in patients with Child-Pugh B or C cirrhosis. The most solid data in patients with decompensated cirrhosis come from the SOLAR 1 and 2 studies (7,8)., which demonstrated a good safety and excellent efficacy of sofosbuvir/ledipasvir plus ribavirin in patients infected with genotypes 1 and 4. Similarly, the ASTRAL-4 study(9). evaluated the efficacy of the pangenotypic regimen sofosbuvir/velpatasvir and ribavirin in patients with Child-Pugh B cirrhosis. Regarding the combination of sofosbuvir and daclatasvir (with ribavirin), data from the ALLY-1 study (10). also support its use in patients with advanced liver disease infected with any genotype. Real-life data (except for the recently approved combination of sofosbuvir/velpatasvir) have confirmed the excellent results obtained in clinical trials (11-15)., and thus, these three combinations can be used in the setting of decompensated cirrhosis. Regarding impairment of renal function, accumulation of the inactive metabolite of sofosbuvir might be a problem when the GFR is below 30 mL/min and should not be used as safety data is lacking and heterogeneous (unless it is the only available choice and under strict clinical and laboratory control) (16). Q. What is the impact of pre-LT DAA on liver function and delisting? Based on the SOLAR 1 and 2 studies (7,8), the combination of SOF/LDV+RBV was followed by a decrease in Child-Pugh score of at least 2 points from baseline to post-treatment week 4 in about 40% of patients. In the ALLY 1 study (10) where 48 patients with decompensated cirrhosis were treated with SOF/DCV/RBV for 12 weeks, 20% of patients showed a decrease higher than 3 points in MELD, after 12 weeks of the end of therapy. Nevertheless, it is much more relevant for the physician to analyze if these biochemical changes were accompanied by such a clinical improvement to enable delisting. A French multi-centre study explored the impact of therapy in 77 decompensated cirrhotics awaiting a LT in 18 Centres (17). Twelve patients (16%) were delisted due to clinical improvement. A larger European study promoted by ELITA found that 21 of 103 (20.4%) patients with decompensated cirrhosis could be delisted due to clinical improvement after a median period of 60 weeks of follow-up. Importantly, the probability of being delisted was very low in patients with a MELD >20 (18). These data were further supported by a large Spanish cohort which included more than 100 patients with decompensated cirrhosis awaiting transplantation (19). In an era of organ shortage it seems reasonable to indicate antiviral therapy in patients awaiting LT with a MELD score < 20, since the probability of being delisted is considerable. A common criticism to this strategy is that some patients (particularly those with a higher MELD score) may improve but not enough to be delisted (and this would only delay transplantation). At this point, a longer follow-up of patients who undergo antiviral therapy (and particularly those who are delisted) is necessary to draw solid conclusions. Q. Who should be treated before LT? 1) incomplete treatment course at the moment of LT, or treatment interruption due to hospital admission in the setting of clinical decompensation or complications; 2) safety issues; 3) a decrease in MELD insufficient to improve clinically but enough to delay transplantation (MELD purgatory). Patients with compensated cirrhosis awaiting LT due to hepatocellular carcinoma could be treated according to the infecting genotype and following the Clinical Guidelines (4). Nevertheless, it should be pointed out that some recent reports have shown a potential increase in the rate of HCC recurrence after loco-regional treatments following DAA treatment. Although a solid recommendation cannot be given, treating physicians should be aware of these data. Treatment after transplantation offers an alternative and is associated with excellent SVR rates (see below). Q. Is “bridging therapy” a choice in patients who do not complete a full treatment course? In cases of an unexpected deterioration of liver function or treatment of individuals with very advanced disease, LT may occur a few days or weeks after treatment initiation. If patients are still viremic at the time of LT or did not achieve more than 30 days of undetectable HCV-RNA (20)., continuation of therapy after transplantation is an option. However, treatment in the very early phase following transplantation may be difficult due to interplaying events such as acute renal failure, poor graft function, impaired drug absorption, or surgical issues after transplantation. As a general rule, treatment in this phase is not recommended (although it can be done in selected cases where patient recovery is predicted to be fast). Q. Which DAA should be used after LT? Is ribavirin necessary? Several antiviral regimens have been assessed in HCV-infected liver transplant recipients(10),(21),(8),(7). Overall, those with fewer interactions with immunosuppressants are preferred and for this reason, the combinations of sofosbuvir/ledipasvir (genotypes 1 and 4) or sofosbuvir/daclatasvir (all genotypes) are the most commonly indicated. In fact, SVR rates in patients with mild/advanced fibrosis or in those with compensated cirrhosis after LT are close to 100% and not different from non transplanted patients (10),(8),(7).One important question that remains unanswered is if ribavirin (RBV) is still necessary. Because clinical trials in LT recipients have not considered a RBV-free arm, it is not easy to give an answer. However, real-life data has shown that a significant proportion of patients can be cured without RBV after LT (22-24). Moreover, a recent clinical trial assessing SOF/LDV (without RBV) in kidney transplant recipients showed SVR rates of over 95% (25). Despite the data cannot be directly applied to liver transplant recipients, a RBV-free regimen might be used in LT recipients with compensated disease if there are contraindications for the use of RBV. In individuals with severe renal failure (GFR < 30 ml/min) infected with G1 and 4 the combination of paritaprevir/ritonavir/dasabuvir (and ombitasvir in G1 cases) has shown excellent efficacy(21). In such cases, however, immunosuppressive control and adjustments must be performed cautiously due to important drug-drug interactions with anti-calcineurinic drugs. In case of a G3 infection and renal failure, sofosbuvir should be used with caution in combination with daclatasvir, as mentioned above. The efficacy of DAA remains very high in individuals with early severe recurrence (such as fibrosing cholestatic hepatitis)(8),(7). However, efficacy may be significantly hampered in those cases of decompensated cirrhosis after LT (26) signaling the need for early therapies in cases of severe recurrence. Q. What is the best timing for DAA treatment after LT? Patients can be treated very early (before biochemical manifestations of HCV recurrence) or in response to biochemical/pathological evidence of hepatitis C recurrence. Immediate DAA therapy after LT may be an attractive choice, but no data are currently available. Studies assessing a pre-emptive treatment initiated at time of LT are ongoing. It should be noted that in the very early post-transplant phase, optimal use of DAA may be difficult due to common complications (i.e. impaired renal function, infections, DDI). Only in cases with severe recurrence (cholestatic or fibrosing cholestatic hepatitis) very early therapy is currently recommended. In the remaining cases, treatment once the patient has been discharged from hospital and is on stable immunosuppression appears as a much reasonable approach. Q. Can HCV-positive donors be used more extensively? In several areas of the world, the rate of anti-HCV positive donors is high (e.g. USA). Thus, it is important to consider the use of such organs (27,28). In general, liver grafts from HCV-positive donors could be used in patients who remain infected with HCV and consent, but the infecting genotype should be taken into account (in case of a donor with genotype 3, response to treatment may not be optimal). In patients who have achieved SVR before transplantation, the use of an infected organ does not seem appropriate and might not be cost-effective. Nevertheless, there is no consensus on this topic and thus, the situation of the individual patient in the waiting list needs to be considered. In any case, surgeons need to assess the organ carefully to avoid transplantation of a graft with advanced damage due to a previous chronic HCV infection. Berenguer M, Ferrell L, Watson J, Prieto M, Kim M, Rayón M, et al. HCV-related fibrosis progression following liver transplantation: Increase in recent years. J Hepatol. 2000;32(4):673–84. EASL recommendations on treatment of hepatitis C 2016. J Hepatol. European Association for the Study of the Liver; 2016;(Epub ahead of print):DOI:dx.doi.org/10.1016/j.jhep.2016.09.001. EASL Clinical Practice Guidelines: Liver transplantation. J Hepatol. European Association for the Study of the Liver; 2016;64(2):433–85. Zuckerman E, Ashkenasi E, Kovalev Y, Weitsman E, Kaspa RT, Brown M, et al. The real-world Israeli experience of treating chronic hepatitis C, genotype 1 patients with advanced fibrosis with paritaprevir/ritonavir/ ombitasvir, dasabuvir with or without ribavirin: a large multi-center cohort. J Hepatol. 2016;64(S137). Flisiak R, Jaroszewicz J, Janczewska E, Wawrzynowicz-Syczewska M, Grabinska A, Bolewska B, et al. Predictors of hepatic decompensation during ombitasvir/paritaprevir/ritonavir ± dasabuvir ± ribavirin treatment of genotype 1 and 4 HCV infected patients (real-life AMBER study). J Hepatol. 2016;64(S815). Charlton M, Everson GT, Flamm SL, Kumar P, Landis C, Brown RS, et al. Ledipasvir and sofosbuvir plus ribavirin for treatment of HCV infection in patients with advanced liver disease. Gastroenterology. 2015;149(3):649–59. Manns M, Samuel D, Gane EJ, Mutimer D, McCaughan G, Buti M, et al. Ledipasvir and sofosbuvir plus ribavirin in patients with genotype 1 or 4 hepatitis C virus infection and advanced liver disease: a multicentre, open-label, randomised, phase 2 trial. Lancet Infect Dis. 2016;3099(16):00052–9. Curry MP, O’Leary JG, Bzowej N, Muir AJ, Korenblat KM, Fenkel JM, et al. Sofosbuvir and velpatasvir for HCV in patients with decompensated cirrhosis. N Engl J Med. 2015 Dec 31;373(27):2618–28. Poordad F, Schiff ER, Vierling JM, Landis C, Fontana RJ, Yang R, et al. Daclatasvir with sofosbuvir and ribavirin for hepatitis C virus infection with advanced cirrhosis or post-liver transplantation recurrence. Hepatology. 2016;63(5):1493–505. Tapper EB, Bacon BR, Curry MP, Dieterich DT, Flamm SL, Guest LE, et al. Real-world effectiveness for 12 weeks of ledipasvir-sofosbuvir for genotype 1 hepatitis C: the Trio Health study. J Viral Hepat. 2016;(May):1–6. Cheung MCM, Walker AJ, Hudson BE, Verma S, McLauchlan J, Mutimer DJ, et al. Outcomes after successful direct-acting antiviral therapy for patients with chronic hepatitis C and decompensated cirrhosis. J Hepatol. European Association for the Study of the Liver; 2016;65(4):741–7. Pol S, Bourliere M, Lucier S, Hezode C, Dorival C, Larrey D, Bronowicki JP, Ledinghen VD, Zoulim F, Tran A, Metivier S, Zarski JP, Samuel D, Guyader D, Marcellin P, Minello A, Alric L, Thabut D, Chazouilleres O, Riachi G, Bourcier V, Mathurin P, Loustaud- CF. Safety and efficacy of daclatasvir-sofosbuvir in HCV genotype 1-mono-infected patients. J Hepatol. European Association for the Study of the Liver; 2016;Epub ahead(doi: 10.1016/j.jhep.2016.08.021). Fernández-Carrillo C, Lens S, Llop E, Pascasio JM, Fernández I, Baliellas C, et al. Treatment of hepatitis C virus in patients with advanced cirrhosis: Always justified? Analysis of the Hepa-C registry. J Hepatol;2016;64(2):S133. Saxena V, Koraishy FM, Sise ME, Lim JK, Schmidt M, Chung RT, et al. Safety and efficacy of sofosbuvir-containing regimens in hepatitis C-infected patients with impaired renal function. Liver Int. 2016 Jun;36(6):807–16. 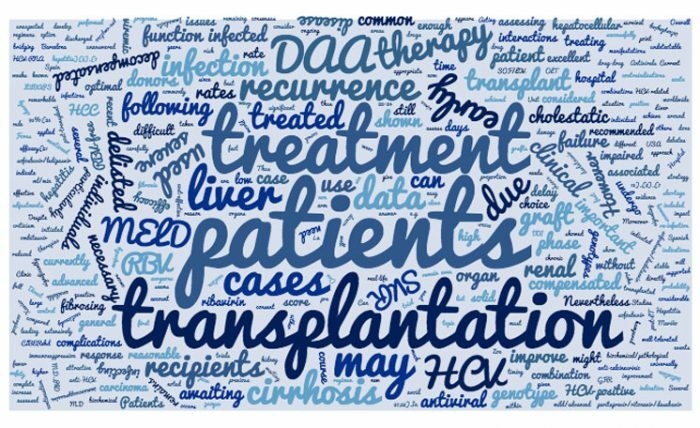 Coilly A, Audrey C, Pageaux GP, Houssel-Debry P, Duvoux C, Radenne S de Ledinghen V. Improving liver function and delisting of patients awaiting liver transplantation for cirrhosis: do we ask too much to DAAs? Hepatology. 2015;62(Supplement 1):67A. Belli LS, Berenguer M, Cortesi PA, Strazzabosco M, Rockenschaub S-R, Martini S, et al. Delisting of liver transplant candidates with chronic hepatitis C after viral eradication: A European study. J Hepatol. European Association for the Study of the Liver; 2016;65(3):524–31. Pascasio JM, Vinaixa C, Ferrer MT, Colmenero J, Rubin A, Castells L, et al. Interferon (INF)-free antiviral therapy in cirrhotic patients Iifected with hepatitis C on the waiting list for liver transplantation. Efficacy and impact on delisting and liver function. J Hepatol. 2016;64(2):S543. Curry MP, Forns X, Chung RT, Terrault NA, Brown R, Fenkel JM, et al. Sofosbuvir and ribavirin prevent recurrence of HCV infection after liver transplantation: An open-label study. Gastroenterology.2015;148(1):100–107. Kwo PY, Mantry PS, Coakley E, Te HS, Vargas HE, Brown R, et al. An interferon-free antiviral regimen for HCV after liver transplantation. N Engl J Med. 2014;371(25):2375–82. Coilly A, Fougerou-Leurent C, de Ledinghen V, Houssel-Debry P, Duvoux C, Di Martino V, et al. Multicentre experience using daclatasvir and sofosbuvir to treat hepatitis C recurrence – The ANRS CUPILT study. J Hepatol. European Association for the Study of the Liver; 2015;65(4):711–8. Sulkowski MS, Vargas HE, Di Bisceglie AM, Kuo A, Reddy KR, Lim JK, et al. Effectiveness of Simeprevir plus sofosbuvir, with or without ribavirin, in real-world patients with HCV Genotype 1 Infection. Gastroenterology. 2016;150(2):419–29. Brown RS Jr, O’Leary GJ, Rajender R, Kuo G, Morelli, JR. Burton Jr., et al. Interferon-free therapy for genotype 1 hepatitis C in liver transplant recipients: Real-world experience from the hepatitis C therapeutic registry and research network. Liver Transplant. 2016;22:24–33. Colombo M, Aghemo A, Liu L, Zhang J, Dvory-Sobol H, Hyland RH et al. Treatment with ledipasvir-sofosbuvir for 12 or 24 weeks in kidney transplant recipients with chronic genotype 1 or 4 HCV infection: a randomized trial. J Ann Intern Med. 2016;(Epub ahead of Print). Forns X, Charlton M, Denning J, McHutchison JG, Symonds WT, Brainard D, et al. Sofosbuvir compassionate use program for patients with severe recurrent hepatitis C after liver transplantation. Hepatology. 2015;61(5):1485–94. Kucirka LM, Singer AL, Ros RL, Montgomery RA, Dagher NN, Segev DL. Underutilization of hepatitis C-positive kidneys for hepatitis C-positive recipients. Am J Transplant. 2010 May;10(5):1238–46. Q. How does direct antiviral therapy of HCV affect liver transplantation management? The availability of new Direct Acting Antivirals (DAAs) has radically changed the approach to the treatment of hepatitis C virus (HCV) infection both in patients with advanced liver disease and patients on the waiting list for liver transplantation (LT). DAAs given to patients with decompensated cirrhosis are highly effective in eradicating HCV leading in some cases to a significant clinical improvement (1-3) with the reversal of de-compensation. These data have prompted the liver transplant community to explore whether the same favourable results can be obtained in liver transplant candidates and more importantly, whether they may eventually allow the inactivation/delisting of some patients due to clinical improvement (4). Q. Has the transplant community participated in specific studies? To validate such a hypothesis, the European Liver and Intestine Transplant Association (ELITA) set up a multicentre real-life study in Europe to assess the efficacy of HCV DAAs on inactivation/delisting following clinical improvement (5). Eleven centres (Bergamo, Bologna, Milan Niguarda, Milan Policlinico, Montpellier, Paris Mondor, Villejuif Paris Paul Brousse, Palermo, Turin, Valencia and Vienna) participated in this study collecting data from 144 patients listed for decompensated HCV without HCC. Of these, 103 were consecutively treated with 2nd generation DAAs between February 2014 and February 2015 while 31 too close to receive a LT were left untreated. While the median MELD score was 16 for patients that were treated and 23 for those that were not treated, 52 patients received SOF/RBV for up to 48 weeks or until LT and 51 received a dual DAA regimen for 12-24 weeks: SOF/DCV (n=35) or SOF/LDV (n=9) or SOF/SMV (n=7). Q. How many decompensated patients were delisted from transplantation? Overall, 34 patients registered sufficient clinical improvement to be inactivated on the waiting list and 21 (62%) were eventually delisted after a sufficiently prolonged period of clinical improvement. During follow-up the cumulative incidence of inactivated patients at 24, 48 and 60 weeks after the start of DAA therapy, as assessed by competing risk analysis was 15.5%, 27.6% and 33.3% while, the cumulative incidence of delisted patients at the same time points was 0%,10.3% and 19,2% respectively. Q. Is there any way to successfully predict delisting? Yes. Baseline MELD, Delta MELD (MELD improvement after 12 weeks of therapy) and Delta Albumin (albumin improvement after 12 weeks of therapy) emerged as independent risk factors for inactivation due to clinical improvement. The twenty-one patients that were delisted, had the following MELD score at start of therapy: 24 (1 patient), 20 (1 patient), 17 (1 patient), 16 (1 patient), 15 (3 patients), 14 (4 patients), 13 (3 patients), 12 (3 patients), 11 (3 patients) and 9 (1 patient). Sixteen (77%) showed a complete regression of liver decompensation, remaining persistently free of encephalopathy, ascites, any fluid retention at delisting and in need of diuretic therapy. The median MELD score at delisting was 10. There were 5 patients (23%) who still had some fluid retention at delisting, hence requiring low doses of diuretics. Q. Is ELITA going to issue specific recommendations as a result of this study? MELD score < 16. In these patients the probability of dying on the waiting list is negligible (overall mortality of 2%), whereas they have a 50% overall chance of improving clinically and being inactivated. These candidates with these characteristics are strongly recommended to DAA. MELD between 16 and 20. Twenty percent of these patients may be inactivated following DAA and therefore the decision to treat either pre- or post-LT should be taken only on an individual basis considering the expected waiting time and clinical conditions (slowly progressive versus rapidly progressive disease i.e. acute on chronic liver failure, ACLF) as well as the competing risk of LT.
MELD >20. The only 2 patients that were delisted had developed an ACLF induced by sepsis early before starting DAAs. In addition, these candidates face a significant competing risk of early LT or death both before and after LT owing to awareness of these competing risks and cost-effectiveness considerations, DAA treatment should be considered after LT rather than before LT. This final consideration refers to the possibility of a MELD purgatory effect, which may hamper access to LT in patients with a minimal to mild MELD decrease without a clinically relevant improvement, here again pleading in favour of post-transplant DAA treatment. Q. Are these recommendations likely to be updated in the near future? A word of caution is required regarding how long the clinical improvement provided by DAAs will last. It will be crucial to assess the long-term risks of death, further re-deterioration and development of HCC more specifically. All these outcomes are in fact currently under evaluation worldwide. Belli LS, Berenguer M, Cortesi PA, Strazzabosco M, Rockenschaub SR, Martini S, for the European Liver and Intestine Association (ELITA). Delisting of liver transplant candidates with chronic hepatitis C after viral eradication: A European study. J Hepatol. 2016 Sep; 65(3):524-31. Q. Mrs Reic, will you please describe the structure and mission of the European Liver Patients Association? The European Liver Patients’ Association (ELPA) is a patient driven organisation led by its President and Board, mainly composed of patients. ELPA’s vision is that all liver patients are timely diagnosed, treated with respect, and have equal access to the best standard of care, regardless of origin, lifestyle and type of liver disease. Our ultimate goal is a world without liver disease. The Association was formed in 2004 when 13 patient groups from 10 European countries met to share their experiences regarding how their countries approached hepatitis and liver diseases. ELPA was formally launched during the annual meeting of the European Association for the Study of the Liver (EASL), and has continued to grow, developing into an umbrella organisation with 35 members representing 27 countries. The organisation’s aim is to promote the interests of people with liver disease and in particular to highlight the extent of the problem. It also seeks to promote awareness and prevention, addressing the low profile of liver diseases like viral hepatitis, NASH, NAFLD, PBC, PSC, AIH, HE and HCC when compared to other areas of medicine, and share experiences of successful initiatives to ensure that treatment and care are harmonised across Europe to the highest standards. Q. What has ELPA done during the last 10 years and how have you partnered with other advocacy groups to promote hepatitis elimination in Europe? ELPA’s main activities include awareness campaigns, policy advocacy, patient empowerment (such as ELPA University) participation in Horizon 2020 programmes and consortia and institutional activities related to viral hepatitis, PBC and other rare liver diseases, ASH, NASH, NAFLD, HE and HCC. Already in 2006, four years before the World Health Assembly established a World Hepatitis Day, ELPA held a World Hepatitis Awareness Day, together with the WHO Regional Office for Europe. In 2007, ELPA successfully lobbied for and contributed to obtaining the first ever European Parliament Written Declaration on Hepatitis C, which was the snowball that resulted in further actions at both the European and global levels that led to the achievements described below. In 2012, ELPA launched the Hepatitis Index – the first comparison of the hepatitis B and hepatitis C performances at that time of all EU members and Norway and Switzerland. It was the first time that a NGO investigated the gaps in the field of hepatitis. Because of the format of this project, it was possible to initiate discussions about strategy plans both on a country level and on EU level. In 2014, ELPA launched its Manifesto on policy measures against chronic liver disease 2014 to 2019. It was a tool to brief candidates for the EU Parliament and the EU Commission on the issues and measures, which are vital for chronic liver disease patients. In 2015 ELPA together with leading experts, institutions and other organizations (EASL, World Hepatitis Alliance, Viral Hepatitis Prevention Board and Correlation Network) published the report “Hepatitis B and C: An action plan to save lives in Europe” a comprehensive document to make it easier for policy and decision makers and healthcare institutions to tackle viral hepatitis effectively. It was the first and only time that all leading organizations and institutions agreed on recommendations based on the WHO framework for a global strategy. All this work contributed to the WHO publication of the first-ever Global Health Sector Strategy on Viral Hepatitis, with the goal of eliminating hepatitis B and C by 2030, as well as setting targets to reduce annual deaths by 65% and increase treatment by 80%. This publication was adopted by all 194 member states, signalling the greatest-ever global commitment on viral hepatitis, a massive step in combatting liver disease. It also led to the first WHO European Region plan for viral hepatitis, adopted in September 2016. The plan will adopt the global health-sector strategy on vital hepatitis for 2016-2021 to the political, economic and epidemiological circumstances of the WHO European region and address all five viruses with a particular focus on HBV and HCV. The plan set the ambitious goal of eliminating viral hepatitis by 2030 and it proposed five strategic directions. One of the most important projects undertaken by ELPA to date is the Hep-CORE study. In the absence of any comparable data in Europe, Hep-CORE was commissioned by ELPA to assess hepatitis B and C policy in all 27 ELPA member countries. A research team led by Professor Jeffrey Lazarus of the University of Copenhagen and the Barcelona Institute of Global Health implemented the study in mid-2016. The researchers requested one ELPA member or group of members in each country (27) to complete a survey that asked about various aspects of the response to HBV and HCV in prevention, testing and treatment. The findings will be presented during a press conference in Berlin on 20th December and will be shared in a report as well as being presented at scientific conferences and published in a scientific journal. However, more than the concrete findings, Hep-CORE has been an unprecedented initiative in patient engagement and capacity building. Patient groups did not just help develop the questionnaire; they also reported all of the information, often by engaging with relevant national institutions. And they will also be principal figures in reporting the findings in order to continue to contribute to the goal of hepatitis elimination as a public health threat. Chronic hepatitis C virus (HCV) infection is a major healthcare challenge, affecting individuals that have been previously transfused or had contact with blood products, as well as people who injected drugs (PWID). It is also very frequent in prison populations. The advent of direct acting antivirals (DAAs), with their very high efficacy and low rate of side effects has had a strong impact on the field, raising the possibility for the eradication of the infection. However, it has also created inequalities in access to treatment due to the very high economic cost of these drugs. Q. 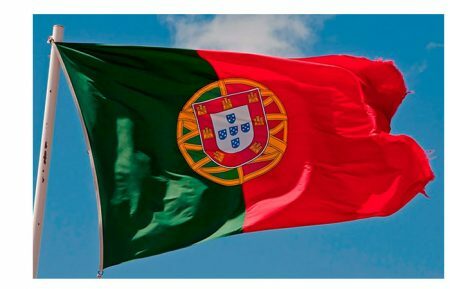 What is the burden of hepatitis C in Portugal? In Portugal, the prevalence of anti-HCV positive individuals is estimated to be 0.54% (95% CI: 0.2–0.9%), corresponding to forty-eight thousand individuals (range 20 -80 thousand) (1). The prevalence of viremic individuals is probably half, since these results are from a general population cohort. In fact, previously it was found that in the general population, the percentage of viremic individuals among anti-HCV individuals is lower than 50% (2). That would leave us with about twenty-four thousand individuals requiring treatment. Moreover, peak prevalence was found among individuals between 35–64 years of age, and were mostly male. In 2015, the Portuguese Ministry of Health, investigated the number of patients with hepatitis C being followed and needing treatment in Portuguese hospitals, and the number obtained was about thirteen thousand patients. In this scenario, it is possible that only half of the patients is currently identified and that there is another half, still undiagnosed. Q. Is there a national plan in place for hepatitis? No, currently we do not have a national plan for hepatitis. However, we do have a well-defined program for the treatment of all identified viremic hepatitis C patients with DAAs. Furthermore, a plan is being prepared that includes measures of prevention and screening policies as well as treatment. One important and unsolved issue is who should be screened for hepatitis C. Looking at a prevalence of 0,54%, it is difficult to support screening for the general population. However, screening for particular age groups may be very effective, as the example of the screening of baby-boomers in the United States. Our target age group could be individuals between 36-64 years of age, to reflect the peak incidence found. Also, we have evidence that there is a marked discrepancy between the prevalence in the general population and in high-risk groups (1). Consequently, a plan has to take into particular consideration these high-risk groups, such as the PWID, as well as prisoners. Q. Has a policy for treating patients with hepatitis C been put in place? Yes, since February 2015, the combination of sofosbuvir with ledipasvir or sofosbuvir alone was approved, and fully reimbursed for all viremic hepatitis C patients. The availability of other DAAs to be used in INF-free all-oral regimens was conditional. During the current year, 2016, since May, the combination of ombitasvir/paritaprevir/ritonavir (OBV/PRV/r) with dasabuvir (DSV) and RBV, was made available initially for patients with renal failure and later on, generally approved. A hepatitis C portal was created where physicians caring for these patients, insert their clinical data. Up to August 2016, 8,248 patients had started treatment with DAAs. Of those, there is available information about sustained viral response achieved by 3,340 patients, with a cure rate of 96.3%. Q. Treatment with DAAs has often been considered exceedingly costly. What evidence do we have that it can be cost-effective? In fact, so far, the price of these drugs is still very high. However, from the data of the Portuguese Portal (from Infarmed), and based on the prediction of the number of patients that would progress to decompensated liver cirrhosis, hepatocellular cancer (HCC), or need of liver transplantation, a calculation was made of the reduction of healthcare costs of these patients, with treatment. It was found that by treating eight thousand patients, there would be a reduction of 73 % of HCC cases, 92% of liver transplant and 93% of cirrhotic compensated and decompensated, corresponding to savings in the region of about thirty thousand euros per patient (unpublished data provided by Jorge Félix). Q. Is there any information in Portugal, regarding the possibility that hepatocellular carcinoma may appear or recur more frequently in those treated with the new DAAs? This has been an issue of great concern in recent months, with worrying data such as that reported by Reig et al. (3). In Portugal, Cardoso et al. (4) reported their data, where they found that the detected de novo HCC incidence (7.4% in the first year), in cirrhotic patients achieving SVR with interferon-free antiviral therapy, was higher than those previously reported for regimens containing interferon (1.2-1.4%). However the number of patients is small: 54, and there is always the possibility of some degree of bias. Larger studies from different groups are needed. However, these results raise a note of caution, and the need for a close follow-up of these patients. risk groups. Eur J Gastroenterol Hepatol 2016;28:640-4.
setting and evaluation of guideline defined hepatitis risk scenarios. J Hepatol 2015;62:1256-64. Reig M, Marino Z, Perello C, Inarrairaegui M, Ribeiro A, Lens S, et al. Unexpected high rate of early tumor recurrence in patients with HCV-related HCC undergoing interferon-free therapy. J Hepatol 2016. Cardoso H, Vale AM, Rodrigues S, Goncalves R, Albuquerque A, Pereira P, et al. High incidence of hepatocellular carcinoma following successful interferon-free antiviral therapy for hepatitis C associated cirrhosis. J Hepatol 2016. EASL educational activities for 2017: what is in the making? EASL Educational Councillor, University Hospitals of Geneva, Geneva, Switzerland. The European Association for the Study of the Liver (EASL) has a long-standing commitment to education in the field of hepatology: post-graduate courses at the International Liver CongressTM (ILC), dedicated conferences, fellowship programs, residential schools and, more recently, masterclasses are a mainstay of our activities. However, the dissemination of accurate and updated knowledge has become a true challenge in the era of Internet, complicated by the expeditious advances in basic and clinical research. EASL has launched diverse initiatives and developed sophisticated tools to meet these challenges. A complete description of all available resources is beyond the scope of this short report and can be more conveniently found on the EASL website (www.easl.eu). I will provide a brief overview of some of the most important recent developments. The Schools of hepatology are at the core of EASL educational activities. Structured as residential courses for 30 to 40 participants, they include both theoretical teaching and practice-oriented, case-based discussions. Students have the opportunity to engage in in-depth exchanges with a distinguished faculty, focusing on all specific fields of hepatology, ranging from basic science to clinical trials. The goal is to contribute to the training of hepatology fellows and residents. Two schools are planned for 2017. A basic school on liver immunology, chaired by Frank Tacke and Ralf Weiskirchen, will be organized in Aachen, Germany, from the 16th to the 18th of February 2017. A clinical school, dedicated to controversies in clinical hepatology, is planned to be held in Madrid, Spain from the 29th to the 30th of September, 2017. The event will be hosted by Rafael Bañares, José Luis Calleja and Augustin Albillos. Traditionally, apart from practical sessions, whose format is varied, schools consist mostly of lectures given ex cathedra by experts. This teacher-centered, content-oriented format has been oftentimes questioned by pedagogues who have advocated a more learner-centered approach, e.g. students should be requested to actively acquire their knowledge by solving a problem, using ad hoc reading or other source material (e.g. a webcast on LiverTree™, see below). This novel problem-oriented format was tested for the first time in Geneva, Switzerland, in a pilot clinical school held in September 2016. Here, small teams of students were assigned a clinical case (a basic scenario plus a number of variants) to be approached and solved using learning material provided beforehand. The teamwork is regarded as a crucial part of the learning experience: the students had to brainstorm and propose solutions for the clinical cases in the form of a PowerPoint presentation. A tutor, i.e. a senior member of the local faculty, served only to guide the students in this process, refraining from a classical teaching approach. The next day each team had to present their talk to the other teams and to the whole faculty, who judged the scientific accuracy and general quality of each presentation. Thus, in this variant of the flipped-classroom model, the faculty poses a series of questions revolving around a clinical problem, and the students prepare a talk to show what the solutions are in front of a class formed by… the faculty members. This innovative (but rather labor-intensive) approach was proven to be feasible and appreciated by the residents participating in the school in Geneva, and has now become the basic format of future EASL clinical schools. A particularly stimulating initiative is the Mentorship Program. This involves a 12-month personal relationship between the mentor (an authoritative leader in his/her specific field) and the mentee, a young investigator in training. Mentees must be EASL members and under 35 and cannot hold a permanent position at the time of application. The exchange focuses on scientific advice (e.g. related to a research collaboration, or the acquisition of specific clinical skills) but also on how to deal with career challenges. Regular meetings between the mentor and the mentee ensure that the stated objective(s) are met within the period of collaboration. This has proven to be a successful and coveted program, which has so far benefitted 8 young fellows, mostly from Eastern Europe, and continues to this very day. The Masterclass is now a permanent feature of the EASL educational portfolio. This is a once-a-year meeting of young investigators and a senior faculty, combining scientific and social interactions to build a strong network in an informal setting. Lectures and practical sessions are integrating parts of the Masterclass, which has become one of the most sought after gatherings for young hepatologists. Three very successful educational tools are available for mobile devices: the LiverTreeTM, the iLiver and the Journal of Hepatology application. The latter will not be discussed here, as it is not managed by the EASL educational team. The LiverTreeTM collects all the latest educational resources in hepatology, ranging from webcasts (>1800) to congress ePosters and e-Series (special world-class lectures) and – overall – the amazing figure of more than 37,000 indexed (and searchable) slides. A large proportion of talks are available in PowerPoint format, i.e. fully downloadable. In addition, a new recently added feature is the possibility of answering to quizzes on selected topics in hepatology. LiverTree™ is available exclusively to EASL members. The iLiver application was launched in 2012 with the aim of providing instant medical information in keeping with the latest clinical practice guidelines to specialists involved in liver disease management. It is intended to be used off-line, e.g. at bedside, whenever specific information is needed at ones fingertip, such as a therapeutic schedule, a score calculation or a diagnostic workup. iLiver currently provides schematic information on 26 different liver pathologies and in 4 languages (English, Spanish, Russian and Mandarin Chinese). iLiver is continuously and automatically updated and, at variance with The LiverTree™, is totally free. More chapters are in the making, and the updating process will be consolidated with that of the official EASL Clinical Practice Guidelines. Finally, the EASL Governing Board is planning to put together a specific hepatology Curriculum: this should encompass several of the applicants’ activities, including active EASL school participation and abstract presentations at EASL’s annual International Liver Congress™ (ILC), The final details of the EASL Curriculum will be presented at the 2017 ILC in Amsterdam. Viral Hepatitis B and C in Saudi Arabia: Progress or Regress? In the Kingdom of Saudi Arabia (KSA), HBV infection is acquired mainly through horizontal transmission early in life, and less commonly by vertical transmission, similar to what is observed in other HBV-endemic countries (3). Numerous studies in the country have shown a marked decrease of HBV from the hyper-endemic levels of 7% reported in children 25 years ago (2). This is due to policies put forward by healthcare experts and government agencies aiming to eradicate the virus. Fortunately, here was a policy forwarded not just in convention, but a strategy implemented to its core and true to its principles. Thus, in 1989, a vaccination program was initiated, and government regulations specified that all children born after October 01, 1989 were to be vaccinated against HBV regardless of the mother’s HBV status. In 1990, compulsory vaccination was implemented as part of a requirement to those just entering school (2),(3). Vaccination details were recorded in the registries of the primary healthcare centers and on children’s Expanded Program on Immunization cards (3). With this, in 2007, all Saudis aged 24 years and younger, had been vaccinated at birth, or when their school life began. This strategy was also implemented in healthcare workers and hemodialysis patients (3). This, in effect, has translated into low overall infection rates, reflected by the premarital screening data among 74,662 individuals, published in 2008, of which 1.31% tested positive for HBV. This data is supported by epidemiological studies, which speak of a marked reduction in the prevalence of HBV in KSA, averaging approximately 1.5% in the overall population, and 2.6% within the adult population (4-6). Certainly, the battle against HBV has been won, but the war continues. Worryingly, these studies leave out individuals over the age of 40 years, which means that the actual percentage of chronic infection could in reality, be higher. This unfortunate misrepresentation is due to the lack of properly conducted, adequately sampled, unbiased, large-scale nationwide studies on the prevalence of HBV (sup>(7). In addition, the problem is compounded by a lack of cure for HBV, meaning that treatment generally never stops, and those infected with the virus continue to harbor the infection on a lifelong basis, thereby remaining as potential reservoirs of infection and hence, transmission. On the other hand, the problem with hepatitis C epidemiology in KSA is that it relies heavily on seroprevalence studies, as is pretty much the case worldwide, considering that adequately powered, population-based studies are ordinarily difficult to undertake. The published data consists of studies that are cross-sectional in design, and usually reflect the portion of society that engages in blood donation, hemodialysis patients, drug abusers, etc (8),(9). Based upon a leading local center’s blood bank data, the prevalence of HCV has declined from 4.7% in 1987 to 0.65% in 2008. Studies from other blood donor centers corroborate these results revealing rates between 0.4-1.1%, which vastly speaks of a significant improvement in prevalence numbers. More recently a Position Statement by the Saudi Association of the Study of Liver diseases and Transplantation (SASLT) and modeling data compiled by local experts input, provided a consensus prevalence rate of anti-HCV of 1.08% (and a viremia prevalence rate of 0.7%) (10),(11). All of this looks good on paper and reassuring, but a focused scrutiny of the matter is where we begin to see cracks in the system. The rate of treatment in 2009 was around 1,900 patients, at a pitiful rate of 0.4% (11). This is an abysmally low treatment rate, and is perhaps the best indicator of inadequate strategy of disease management on a national level. This must obviously change, and requires imminent and significant alteration to the present day treatment paradigm. Screening more people, diagnosing the virus in its infancy and properly treating those affected by the disease would have a far greater impact than just increasing the number of people treated (11). Successful diagnosis and switching to highly efficacious direct-acting antiviral (DAA) therapies could contribute to a reduction in HCV-related disease burden in KSA (11). The current approach to managing HCV in the country rests largely upon treating selected populations of HCV-infected individuals while a significant majority of those with less advanced or uncomplicated disease are deferred in view of the exorbitant costs of these DAAs and lack of available resources and facilities (12). This approach is unlikely to reduce HCV-related disease burden unless distinctive and rigorous strategies are adopted and implemented in a timely manner (11). The projected impact will facilitate disease forecasting, resources planning, and appropriating means for HCV management and eradication in the country. A national strategy in the country would ideally include community awareness, consolidating community health surveillance, and improve risk estimation and access to screening, testing, diagnosis and treatment. It can be reasonably estimated that 20% of all chronic viral hepatitis will develop cirrhosis over the next 20 years unless a national plan to counter the disease is implemented. Effectively, this will mean that the Saudi healthcare system will then face an imposing burden of approximately 88,000 cirrhotic patients, 8,800 potential liver transplant patients and 1,500 HCC patients in the near future (3). All of these will require advanced medical care that is very expensive, and this is a cost that will largely be government borne since all healthcare in the country is reimbursed by the Ministry of Health or its affiliated healthcare partners and systems. 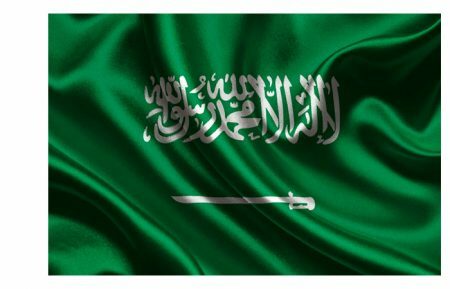 Saudi Arabia has, as the figures show, witnessed prevalence declines for HBV and HCV, and this is attributed to better living conditions, immunization against HBV, universal blood bank screening, better control methods for those infected and increased awareness of clinical and social practices (3). Immunization against HCV does not exist yet, but it is a curable disease. Lastly, relevant gaps remain in the management of viral hepatitis in the country. This calls for a comprehensive National Hepatitis Plan that starts from awareness and education, emphasizes prevention, sets up early detection programs, guarantees proper and timely assessment, and provides the recommended treatments in a cost-effective and evidence-based manner. Te HS, Jensen DM. Epidemiology of hepatitis B and C viruses: a global overview. Clin Liver Dis 2010;14(1):1-21. Abdo AA, Sanai FM. Viral hepatitis in Saudi Arabia: An unfinished story. Saudi Med J 2015;36:785-786. Abdo AA, Sanai FM, Al Faleh FZ. Epidemiology of viral hepatitis in Saudi Arabia: Are we off the hook? Saudi J Gastroenterol 2012;18:349-357. Bashawri LAM, Fawaz NA, Ahmad MS, Qadi AA, Almawi WY. Prevalence of seromarkers of HBV and HCV among blood donors in eastern Saudi Arabia, 1998-2001. Clin Lab Haematol 2004;26: 225-228. Mehdi SR, Pophali A, Al-Abdul Rahim KA. Prevalence of hepatitis B and C and blood donors. Saudi Med J 2000;21:942-944. Alswaidi F, O’Brien S. Is there a need to include HIV, HBV and HCV viruses in the Saudi premarital screening program on the basis of their prevalence and transmission risk factors? J Epidemiol Community Health 2010;64:989-997. Shobokshi OA, Serebour FE, Al-Drees AZ, Mitwalli AH, Qahtani A, Skakni LI. Hepatitis C virus seroprevalence rate among Saudis. Saudi Med J 2003;24:81-6. Karkar A. Hepatitis C in dialysis units: The Saudi experience. Hemodial Int 2007;11:354-67. Alghamdi AS, Alqutub A, Abaalkhail F, Sanai FM, Alghamdi H, Altraif I, et al. SASLT position statement on the direct‐acting antiviral agents for the treatment of hepatitis C virus infection. Saudi J Gastroenterol 2015;21:60‐3. Aljumah AA, Abaalkhail F, Al‐Ashgar H, Assiri A, Babatin M, Al Faleh F, et al. Epidemiology, disease burden, and treatment strategies of chronic hepatitis C virus infections in Saudi Arabia in the new treatment paradigm shift. Saudi J Gastroenterol 2016;22:269‐81. Alghamdi AS, Alghamdi M, Sanai FM, Alghamdi H, Aba-Alkhail F, Alswat K, et al. SASLT guidelines: Update in treatment of Hepatitis C virus infection. Saudi J Gastroenterol 2016;22, Suppl S2:25-57.